When we see videos of other people marching down streets chanting slogans, with simple banners, placards, costumes and fists raised, it all looks very heroic, doesn’t it? Barring the SMRT strike in 2015, the closest thing we have to a strike here in Singapore is mass resignation or mass MC. Some chaff that striking will lead to arrests, as seen in the SMRT strike, or the Little India riot, which technically wasn’t a strike but a mass action by migrant workers. Can we strike without getting arrested? It is possible to legally organise a strike, according to various sources such as a former NTUC Industrial Relations Officer and the Straits Times, which refer to the Trades Dispute Act and Trades Union Act. However Singaporeans being practical, would rather spend the time and effort on other productive activities, such as making money via moonlighting freelancing, spending time with family or travelling overseas with the strong exchange rate. Are workers in Singapore happy? Not all is fine and dandy in Singapore though. There are employers who flout the Employment Act, CPF Act and whatever acts they pretend to be clueless about. 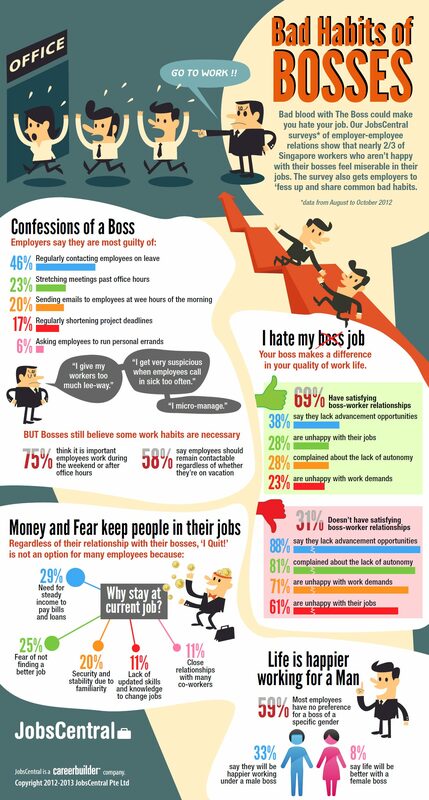 Singaporeans may feel stigmatised when they feedback to Human Resources about discrimination and harassment. What avenues of help can workers tap on? 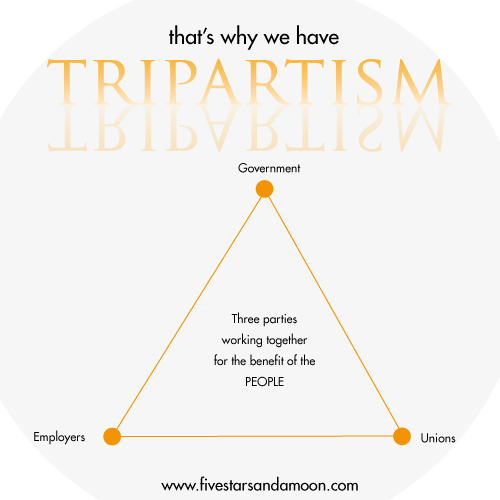 But we know that there are other ways to get things done, such as complain to our union, Ministry of Manpower, and soon the Employment Claims Tribunal (ECT) and Tripartite Alliance for Dispute Management (TADM). If your case meets certain requirements, you are eligible to go through a Tripartite Mediation Framework (TMF) where MOM and NTUC will hold tripartite negotiations with the employer to seek some sort of fair deal for you. 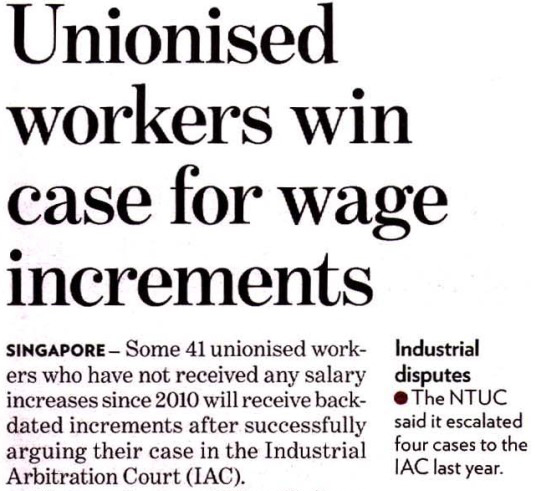 Is NTUC and unions helping workers? Something interesting I learnt is that if you are an NTUC member, but your company isn’t unionised (aka has a union), you can also complain to NTUC. Unlike unions in other countries which thrive on violence and media attention, NTUC and affiliated unions (aka the Labour Movement) negotiate for workers’ interests behind closed doors to get the job done quickly and without much fanfare or public quarrels. It is an unusual way of getting the job done quickly and without much fanfare or public quarrels, because this allows the Labour Movement to negotiate more for workers and save the companies’ face for future negotiations to go well too. However, if negotiations don’t work, unions can sue companies if the latter have breached the Collective Agreement. So that’s why we don’t have strikes, it’s not that we can’t, but there are avenues to talk it out first. And if you didn’t use those avenues, please learn what they are before you spend money at Popular or ArtFriend to buy placards and markers. Your avenues for the swift and efficient settlement of workplace disputes is interesting. Have just visited Singapore, as a tourist, for the first time and am hooked on finding out more of how things work for the people who actually make it all happen.